The most auspicious day in the latter part of 2013 has been set for Jay and my engagement ceremonies. And guess what … it is in four weeks. Little under a month to go, and I have decided on absolutely nothing! I mean come on! Well, I lie, I have decided that I want our engagement party to be at my house and I suppose I know the capacity of my house which means I know how many people I can invite including a marquee. What my family have so kindly done, and what is tradition really, is phone and inform those key people to keep that date free. The engagement party is just like another party, except this occasion serves a multitude of purposes. For smaller gatherings; it can be a great way for both parents to officially meet one another, alternatively bigger parties are a true celebration in announcing your engagement to the wider families and friends. I have opted for a small gathering with friends and family! There are a number of things that I need to get on and do immediately. 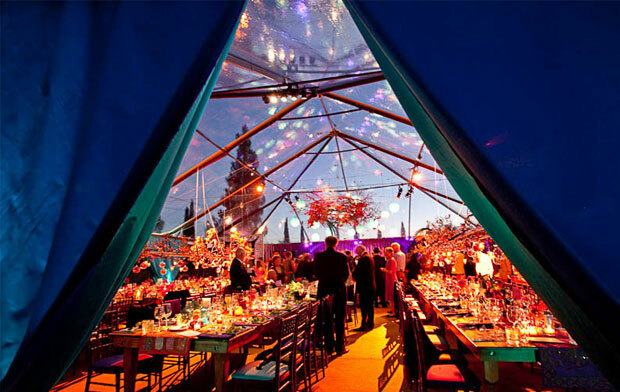 Look into and book a marquee: Our backyard is fairly sizeable, so a beautifully lit marquee with chic décor is the intimate setting to the lush party we require. Choose an engagement outfit: Yikes! This probably should be at the top of my list. I am not a shopper and I turn my nose up at anything related to being dragged around. My only wish is that there is more online boutiques for this kind of thing. Complement my outfit to the theme & décor: When I choose my colour scheme, then I can put together a theme that will go well with my outfit, which ultimately is the goal. Last minute invites: Now, as the date is so last minute, we have already called and notified guests to save-the-date. So invitations that go out are just a formality and even a keepsake. Decide on caterer/drinks/makeup artist/hair stylist: These are some key party must haves, all of which I am lucky enough to have in mind, I just need to sign on the dotted lines and secure. Entertainment: DJ? iPod? Dancers? All key decisions I will need to make with my fiancé. Gift for my diva fiancé: My diva of a fiancé requires an engagement gift, unsatisfied that I get a diamond ring and the idea of getting me for the rest of his life. I mean, honestly that should be enough, but apparently not. Define timings of the day: And finally, setting a timely day requires some planning and a little bit of thought of which I will make some time for. A pretty long to do list for me. Stay updated on twitter on how I get along. Always, always keeping you inspired! Congratulations Rachyeta!! If your marequee, decor and theming are any thing like the image above, we know that your engagement party must have looked and felt truly magical! How is the rest of the wedding planning going? Do post more updates and pictures on here, we can’t wait to see them!